The Pagoda of Chanteloup, madness of the XVIII ° century, in the heart of the castles of the Loire, is the testimony of the castle of the duke of Choiseul, destroyed in 1823, of which a virtual restitution is presented on the site. 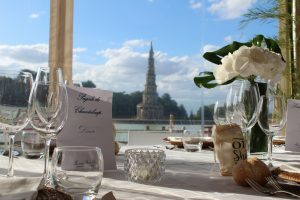 The Pagoda offers from the top of its 44 m, a grandiose panorama on the forest of Amboise and the Loire Valley. 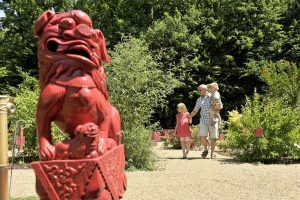 In the 14-hectare park, enjoy the joys of “old-fashioned” wooden games or a country picnic, discover the small Chinese garden inviting to meditation, and the calm of a boat trip on the pond. The “Madness of the Duke of Choiseul” or “Monument dedicated to Friendship” was built by the Duke in 1775, after his exile from the court of King Louis XV, in tribute to all his friends who had testified their loyalty. Discover the history of this unusual and unique monument, the last vestige of a grandiose palace. Climb the 149 steps that separate you from the top floor, and enjoy a grandiose panorama of the vast forest of Amboise, whose lanes of green still bear witness today to the grandeur of the old castle of the eighteenth century. Enjoy the 14-hectare park for picnicking or stroll around the half-moon water feature and the Grand Canal. 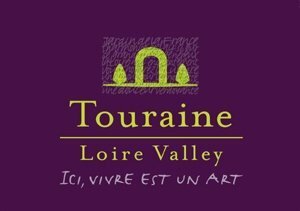 For both adults and children, various activities have been created to enliven the visit route in a fun way. A large variety of old wooden games are thus available, in the tradition of games so much appreciated and practiced by the 18th century society in the Chanteloup gardens. Come discover the small Chinese garden, its oriental essences, its chinoiseries in an atmosphere that invites you to meditation. 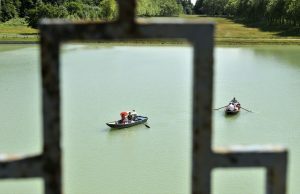 For a better contemplation of the monument and its reflection in the large pond, come enjoy a boat trip with friends or family (rental € 5 per hour throughout the season). 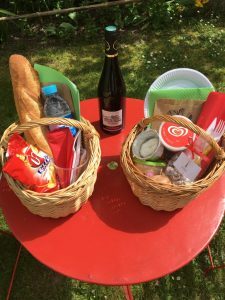 Available at the Salon de Thé from May to September, the picnic baskets of Chanteloup are made up of the must-haves of our region, Touraine rillettes with Saint-Maure-de-Touraine goat cheese, accompanied by our selection of Touraine wines. Amboise (AOC) vineyards of Chanteloup. Privatize the site of the Pagoda of Chanteloup, and offer to your reception an enchanting frame which your guests will not be close to forget. 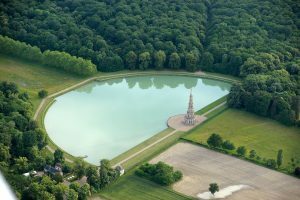 By its architecture and its history, the Pagoda of Chanteloup is a unique monument, born from the Age of Enlightenment, erected in a majestic site, on the edge of the forest and in the heart of the Loire Valley Castles. It is indeed in Chanteloup that the Duc de Choiseul, Prime Minister of King Louis XV received his illustrious friends. It was for them that he built the Pagoda and came from the confines of Europe to admire this “madness” dedicated to friendship.